Managing projects and project teams require more than just “common sense management”. Learn the project management framework and listen to success stories. Determine the critical path to take to avoid project delays and problems, derive costs, assemble a project team, and motivate your team for peak performance. This program is for Team Leaders, Project Managers, Project Engineers, Project Architects, Officers-in-Charge, Managers and other people who want to develop their project management skills. Mayet – MT 202, Cintree Management Services, Inc.
Guthrie-Jensen’s Effective Project Management Seminar. Project management training at its best. 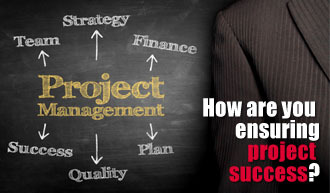 Inquire about Project Management Skills Today!